One of the biggest projects I have worked on, expanding for over two years. 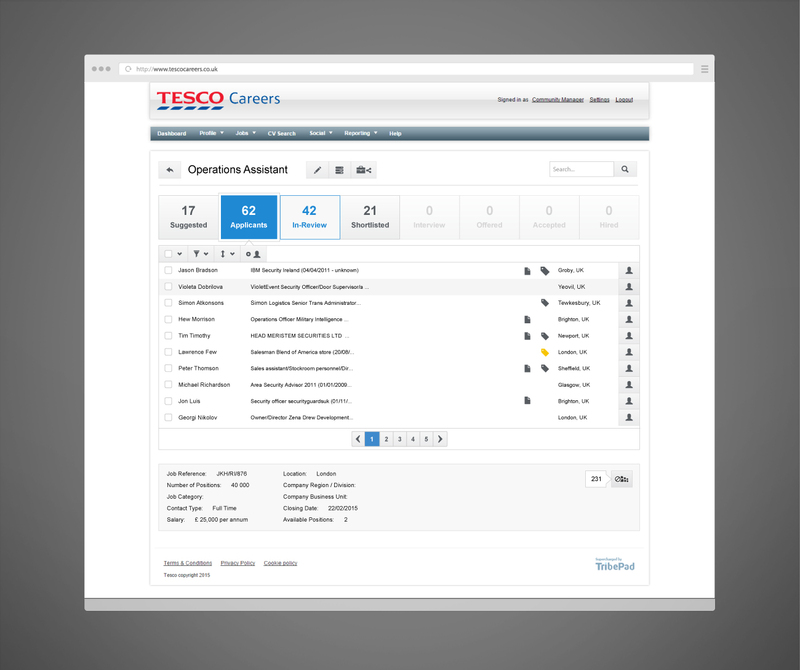 It was commissioned by TribePad to be used by companies such as Tesco, BBC, G4S, Sodexo and others. The product is a SaaS applicant tracking system (ATS). Due to the nature of the project I cannot disclose more screens, but the system is a complete solution offering job posting, CRM, social and other modules. Below the main ATS screen is displayed, where new applicants can be reviewed and moved to the relevant status. It gives an immediate overview of the state of the job’s applications and offers an easy way to process multiple applications in a fast and intuitive manner.